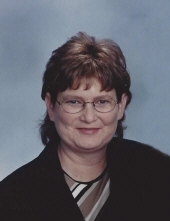 Sandra Sue (Palmer) Richards, age 59, of Eddyville, IL passed away on January 12, 2019 at home. Sandra was born January 28, 1959 in Eldorado, IL to Darris and the late Sheila (Amos) Palmer. She graduated Pope County High School in 1977 and went on to earn an associates degree from Southeastern Illinois College. Sandra was married to Larry Richards of Eddyville, IL, he survives. They had one daughter. She is survived by daughter, Heidi (Justin) Parrott of Maroa, IL; two grandchildren, Avery and Colby Parrott of Maroa, IL; father, Darris Palmer of Eddyville, IL; two sisters, Cindy (late Kenny) Hall of Eddyville, IL; Darise (Eddy) Cullum of Glendale, IL; uncle, Marvin (Gail) Palmer of the Ozark Community; three aunts, Loretta (late Orville) Wilson of Oak Harbor, WA, Joyce (Jack) Selberg of Auburn, MI, Sandy Tobin of Plankinton, SD; many nieces, nephews and cousins, and longtime friends Tamy Boaz and Sheila Beasley. She was preceded in death by her mother, Sheila Palmer; brother-in-law, Kenny Hall; uncles, Gene Palmer, Orville Wilson and Jim Amos; mother-in-law, Gladys Richards; father-in-law, Delbert Richards, and her grandparents. Sandra began babysitting in 1998 and was known as “Nanny” by the many kids she watched. Some of those include: Bennett and Hilary Hughes, Grayson and Griffin Osman, Brody Hazel, Brenna Joyner and Kate Hall. She enjoyed her morning coffee and family dinners. She liked to attend all the kids’ school and sporting events. She loved to spend time with her grandkids and enjoyed spoiling them. Memorial service will be 2:00 pm on Saturday, January 19, 2019 at Aly Funeral Home in Eddyville, IL. Visitation will be from noon until time of service on Saturday at the funeral home. To send flowers or a remembrance gift to the family of Sandra Sue Richards, please visit our Tribute Store. "Email Address" would like to share the life celebration of Sandra Sue Richards. Click on the "link" to go to share a favorite memory or leave a condolence message for the family.